A familiar sight, as you trundle through Southwark on the A3. Like so many pub names in London, this is an ancient one, and beloved of us all because it’s just so damn weird. As is its effigy, perched up there above the traffic fumes. Brightly coloured, there he is, thousands of miles from his native habitat and sporting an accessory from another age. See: no-one in mediaeval times had actually seen an elephant. Let alone those great warlike defensive contraptions they wore on their back during ancient conflicts. See that strange head, and the hooves? The mediaeval carvers had to rely on hearsay. Who could describe those huge drum-feet with accuracy to an English carpenter who has only ever been as far as the coast of England? What a charmer. This is a mystery from the East; a tale waiting to be told. A candlestick in the form of what is not, but could so easily have been, an elephant. Posted in Quirks of HistoryTagged British Museum, castle, elephant, elephant and castle, history, mediaevalBookmark the permalink. 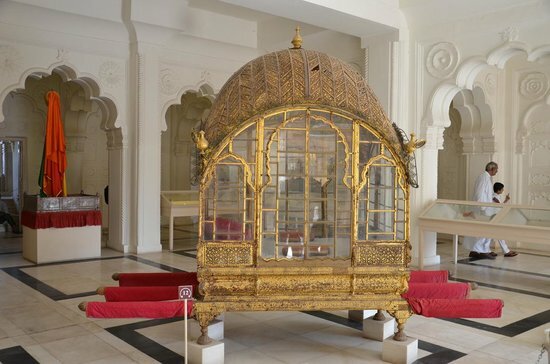 The museum is full of them: it is like being in a sweetie shop, scooting from confection to confection: ‘jewels of the past’ is such a great description. Now I wonder if I can find an answer for you… I’ll be back! I look forward to it, Grannymar! It seems to me, Kate, that whomever carved that creature had seen a horse and maybe they had one of Macaulay’s ancestors running around. You may just be right there, Virginia; and now I have an insane desire to dig up mediaeval pictures of dogs to compare…. Joan Aiken’s alternate histories starring Dido Twite feature a real elephant with its howdah going up the Roman road (Stane Street, is it?) to the Elephant and Castle from the south coast in The Cuckoo Tree. I guess this is her fantastical explanation of the name. Fantastic, Chris: Maddie and I have never read that adventure of Dido’s. I love the way Joan Aiken takes the familiar and expertly finds a context which brings it into sharp relief. A wonderful exercise for a writer: find an artefact and write it in as the centre of a scene. I can only imagine what I’d come up with if I’d never seen an elephant and someone tried to describe one to me. Interesting post. Hi Librarylady….wonderful parlour game to find rare animals and get people to draw them. A wonder how people would draw the Ayeaye? Now: Library Lady. Your Rosie Bear would’t also be a librarian and ICT whizkid, would she? It’s just I know ( and could not do without) a Rosie Bear…. I thought that. Or an anteater on stalks. I love these carvings. I love the creations that are based on descriptions, rather than how they look, and, in all fairness, they aren’t a million miles off, are they? A little horse-like, which is to be expected, I suppose. I never knew of the Elephant and Castle in Chester – I shall have to check it out the next time I’m there! It posted 😀 Thanks Tom! I have never been to see the Chester elephant and castle. 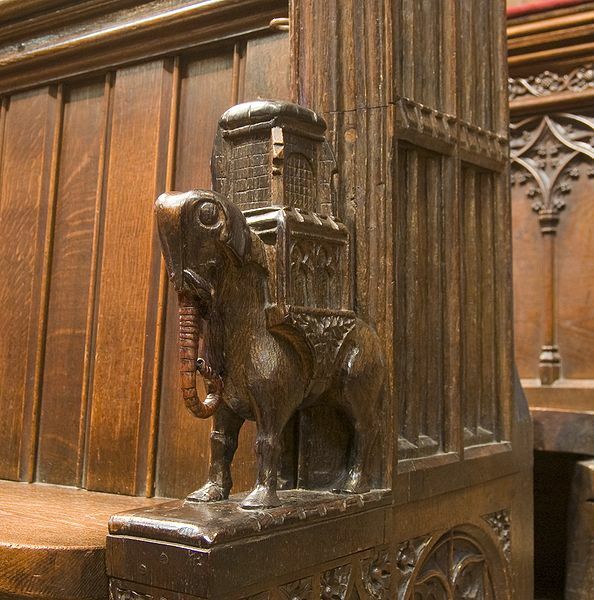 There’s an elephant without the castle on a misericord at Exeter. But what’s an elephant without a castle? Not bad triesat all, and when you come to think of it they are rather more logical than the actuality. That tends to remind me of scientific types, now that I come to think of it. Indeed 😀 Rather more logical than the actuality. I must write that down somewhere, Col. I love the bench carving and the beautiful candlestick. The Romans knew about elephants didn’t they? I’m thinking about Hannibal taking the elephants to the Alps. I may have my history mixed up. If the Romans had seen elephants, would there have been drawings and things around that might have been preserved during the Dark Ages? This is pure speculation, but it’s fun. I think you’re definitely on to something, Gale. There was, once, in Roman times, such a thing as the Elephantry; they would send lines of elephants to charge and terrify the opposition. I love mad ramblings, they’re my favourite. I have no idea whether there’s a link – the castle is a familiar symbol in defence of high places. I’m thinking about the foc’sle or forecastle – the little castles they built at either end of warships. It is no surprise that they turned up in a defensive game like chess. I collect elephants and have a few with structures on their back. None like this though. I’d love to see some of those, Stephen. There’s enough for a phD here, isn’t there? 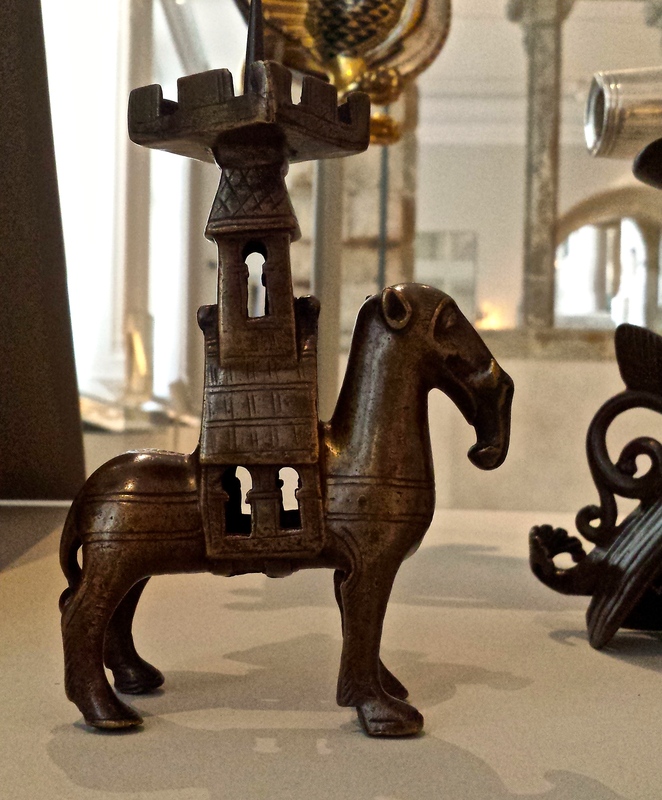 Padmini Natarajan: More than a candlestick stand it looks like a castle/rook piece from a chess board. Remember chess was a popular game in India…we invented it and everybody played it….in palaces, harems, homes, street corners and in barracks. Grannymar, that’s great! Thank you! Chris at Calmgrove commented on the traditional idea that Elaphant and Castle is a bastardisation of the words Infanta De Castilla, after Eleanor of Castille, the first queen consort of Edward I. The candlestick is dated between 1200 and 1400 and Eleanor lived between 1241 and 1290. I think your contacts have something, though: the rook in chess is so similar to the elephant’s accessory. A rook in many chess sets. Indeed, Carl, there is such a similarity! Amazing, is it not?, where imaginations take our minds and our skills just on what we hear. I would love to see these and now must make a trip into our big city for I believe our Art Institute of Chicago has some in their collection. Well, I’ll make that trip soon as the latest batch of snow has melted. Penny, I would LOVE to see some of the ones from Chicago! Nancy, you are brilliant. Thank you. I’m sure I can rustle a little something up by then. Hope all is well with you all: I’ll be over shortly to catch up. I think my favorite part of this story is that it captured your imagination. I’m very familiar with the concept of following an odd train of thought and letting it amble freely. I sort of hate to admit that I don’t think I would have noticed the “castles on elephants” theme. I’m thrilled that you drew my attention in this direction and it creates a deeper curiosity about a number of things. I find the things that interest any one of us as fascinating as the topic itself. Hope you enjoy your weekend, Kate. The second photo looks like a camel with a long trunk. Fascinating. Quite, BB! Like a parlour game.